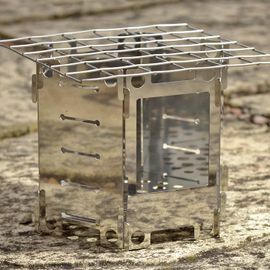 The Zebra Stainless Steel Camping Pot is made to an exceptionally high standard using tough stainless steel for superior durability and longevity. 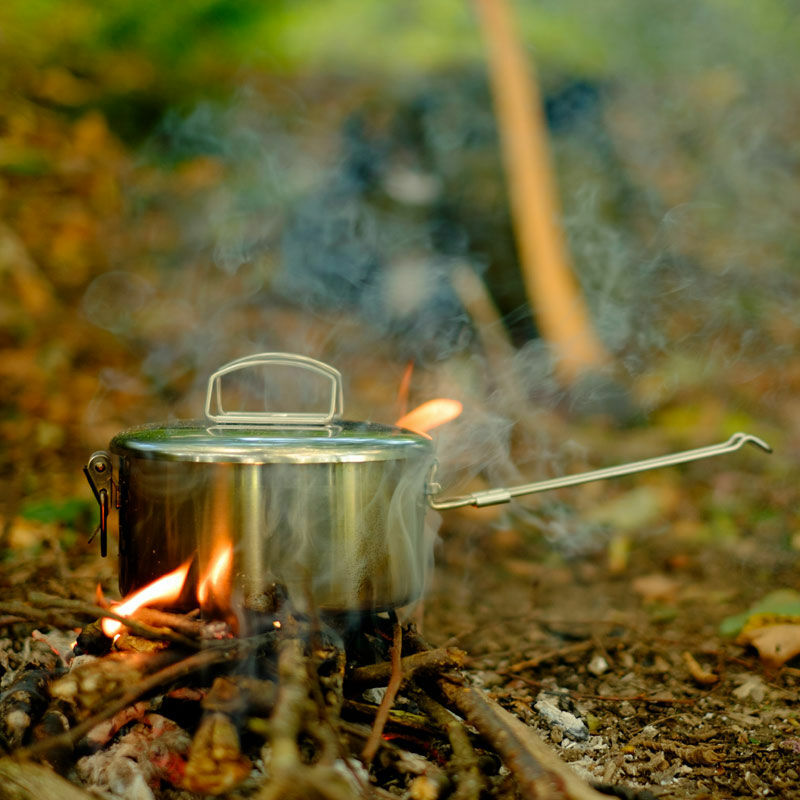 Zebra are a well-respected brand in the bushcraft and outdoor camping market and Woodlore are proud to have stocked and been using their high-quality Billy Cans for well over a decade. 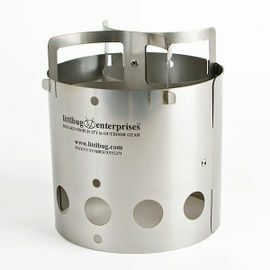 The Camping Pot or, 'lunch box' as it is otherwise known, is a solid stainless steel cooking pot that comes equipped with a folding handle, inner plate, folding top handles, lid and a side clip to securely hold it all together. 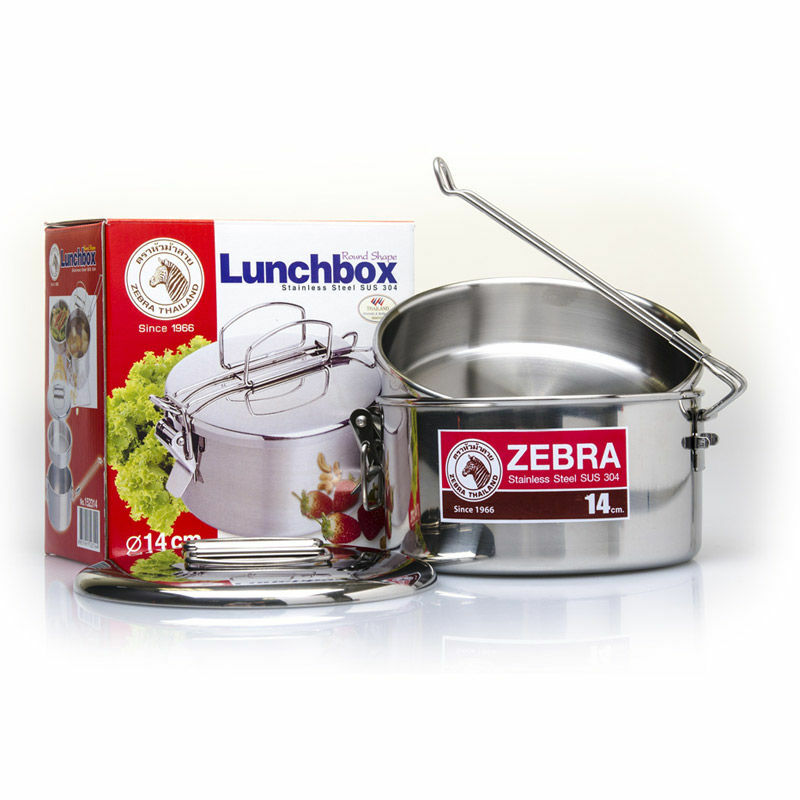 This Zebra pot is also great for storing food or other perishables, and is equally perfect for storing tinder and other fire lighting tools. 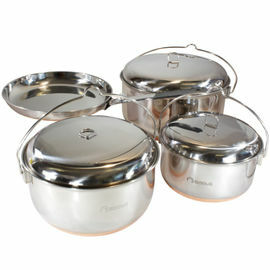 Zebra Stainless Steel Camping Pot 14cm is rated 5/5 based on 6 customer reviews. 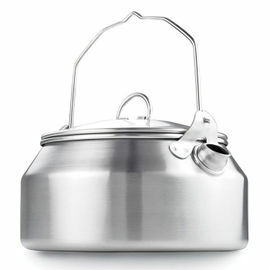 I love this pot, it's brilliant! 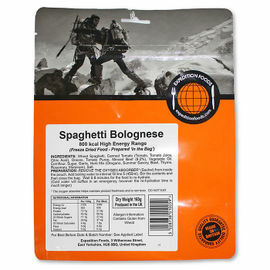 I've not used it for camping yet but use it virtually every week as a dinner transport pot for work. It's a perfect portion size and reasonably leak resistant. I'd definitely buy it again. Sturdy and well made. Large enough to cook a large meal for one or lunch for two. 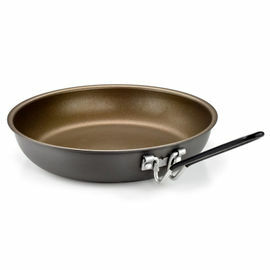 I bought this with the 12cm Billy can, using the insert from that and a few pebbles, I was able to cook a damper bread on the campfire. Well made, economically priced. Good size for one person. Great pot, complements my other Zebra billy cans. Really good sized pot. Great Zebra Quality. The dish inside is also a more useful size than in the billy cans. Going to get lots of use out of this one. Using everyday for work. Very pleased, thank you very much.